I would like to introduce our company - Granite Exchange Limited. I head up a national stonemason network which allows me to service the UK mainland with our products and services - granite, quartz & marble work surfaces for kitchens, bars, offices, boardrooms, wetroom walls, shower walls and internal wall panels, together with matching floor tiles. I have worked in the kitchen industry for over 25 years, and the company has recently set up an office in Manchester to provide a North West base for our business - we have access to large stocks of premium granite, quartz and marble together with fabrication plants and experienced stonemasons around the UK mainland - our registered office is in Derbyshire. I would welcome the chance to quote for any projects you have and, with the quality of our products and skill level of our stonemasons, combined with the service we offer, I can assure you of our ability to deliver. Stone Superstore specialise in natural stone, limescale and marble tiles to add the finishing touches to your perfect bathrooms or kitchens. Our 20 years of experience of manufacturing and the business relationships we have developed allow us to provide a wide range of tiles at a reasonable cost without having to compromise on the quality. 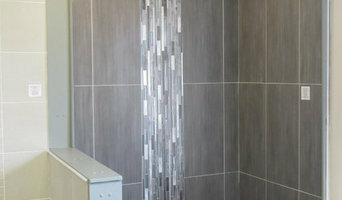 We are a tiling and interior solutions company based in Stockport, Manchester. We have professional tilers on hand to help you with your next project. We offer all our customers discounts off tiles from all leading tile suppliers we use on a regular basis. Our tilers are experienced and provide a service of the highest quality from start to finish. We take pride in our work, and guarantee 100% satisfaction. East Lancs Tile Centre Ltd is one of Lancashire’s leading independent retailer and distributor of tiles. Established on 1976, we are a small independent family-run business offering a comprehensive range of high quality tiles, all ancillary products at competitive prices. We pride ourselves on the high level of the personal customer service that we offer, whether it be commercial or domestic. As a result the vast majority of our business comes to us as referrals from our loyal and satisfied customers. Here at Hot Tile Importers, our mission is to offer a wide range of tiles to suit every lifestyle and taste at unbeatable prices. We hold a carefully-chosen range of tiles sourced directly from factories located all over the world. By buying direct from the factory, we offer the best quality tiles to customers in Leeds, Huddersfield, Brighouse and the surrounding areas at heavily discounted prices – prices other tile shops can’t beat – by passing on the savings we make Our stock includes ceramic wall tiles, porcelain floor tiles, decorative slate tiles and premium quartz tiles, together with a wide range of mosaics. We also have kitchen tiles and bathroom tiles available, and we stock an extensive range of adhesives, grouts, trims, tools and accessories. This enables us to cater for all of your tiling needs, for any room of your home or commercial premises in Leeds, Huddersfield or the surrounding Yorkshire area. One Stop Worktops is a family run business with over 30 years experience of distributing and fabricating any kind of worktop. We have numerous designs of worktops and accessories to choose from produced by leading manufacturers from both the UK and abroad. Having our showroom and workshop together in Stockport near Manchester means, if you are local, you can choose your worktop and wait while we cut it to size. We can supply to suit all budgets from the economy right up to the top of the range Solid Surface and Real Wood ranges. We will fabricate your own worktops should you require although we do give generous fabrication discounts when you purchase our tops. If you are local come along to our showroom and have a coffee while you browse through the many samples on display. We deliver FREE on worktop orders over £300 and same day to the local area. Click on the Delivery Service tab on our website for delivery days and prices to your area. Here at Online Worktops we strive to provide only the highest quality kitchen worktops and worktop accessories to you at the best prices possible. With up to 70% off RRP prices we’re sure you will find our prices very competitive, however if you do find the same product elsewhere at a better price than ours then WE WILL GUARANTEE TO BEAT ANY LIKE-FOR-LIKE WRITTEN QUOTE. We stock an extensive and ever-growing range of kitchen worktops, splashbacks, upstands and other worktop accessories to make sure there’s absolutely no hassle for you when it comes to creating that kitchen you’ve been dreaming of. Just to make life even easier for you we will also deliver your chosen worktops direct to your door so that’s one less problem for you to worry about! We only stock products from industry leading manufacturers such as Bushboard, Formica and Karonia meaning you know that you’re getting the best quality and value for your money. We stock everything from laminate kitchen worktops, real wood kitchen worktops, solid surface kitchen worktops and quartz kitchen worktops along with all the matching accessories that the manufacturers offer. I am a local, experienced, self -employed floor and wall tiler and I provide a friendly, honest and reliable service in a professional manner. I take a great deal of pride in my work and only use the best quality adhesives and grouts to ensure a high quality long lasting finish – this, I think, shows in the final product. 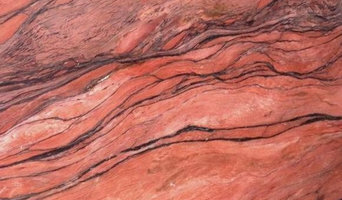 Roman Stone is a local supplier of natural stone flooring in Preston. 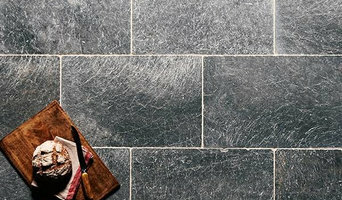 We specialise in natural limestone, travertine and Italian porcelain tiles and flooring for the bathroom, kitchen and home. We also sell a huge range of outdoor stone paving, tiles and flagstone flooring for gardens and driveways. From our purpose built showroom located in the heart of the Ribble Valley, Lancashire, we expertly source only the finest natural stone tiles and flooring from around the world. 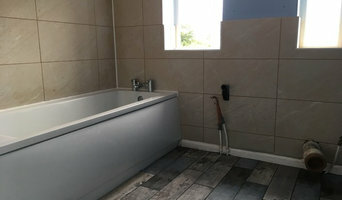 Here at porcelainsuperstore.co.uk we believe everyone should have access to great tiles. So we work directly with hand-picked manufacturers in Italy and Spain - cutting out the middlemen inbetween - meaning we can offer our beautiful porcelain tiles without the high street mark up.